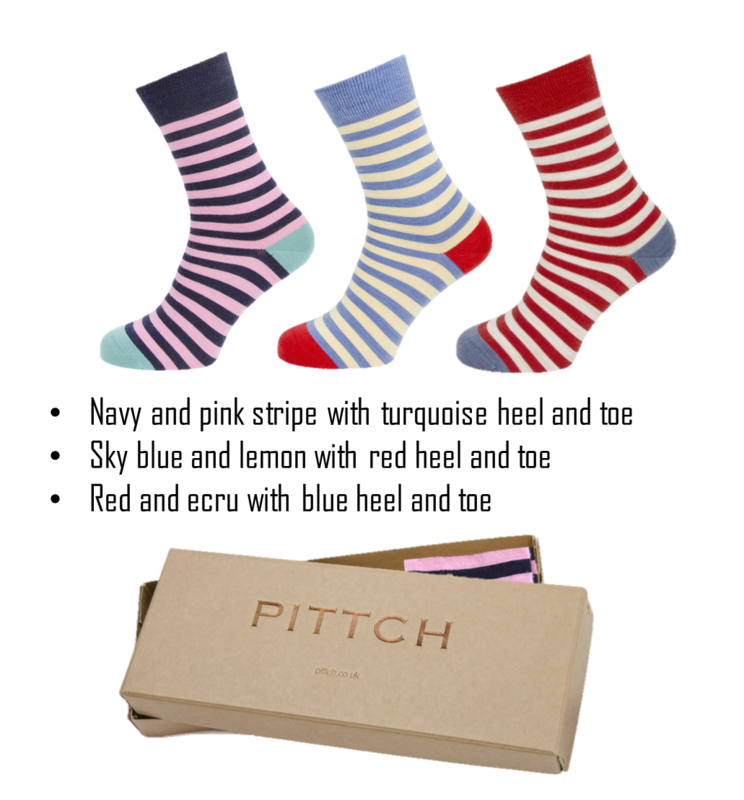 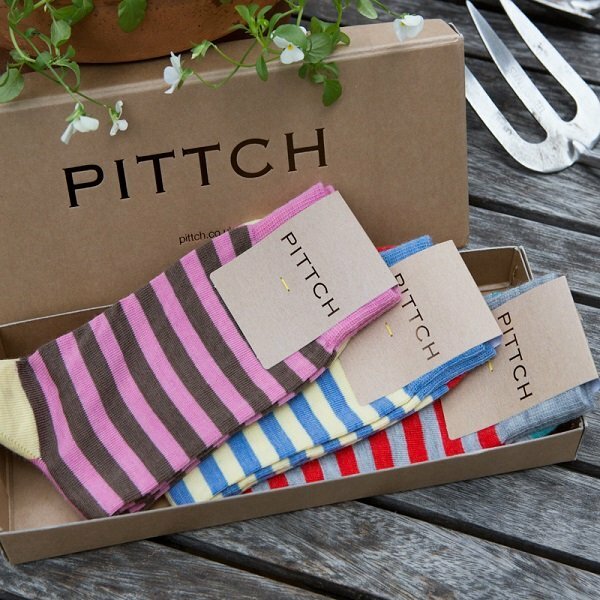 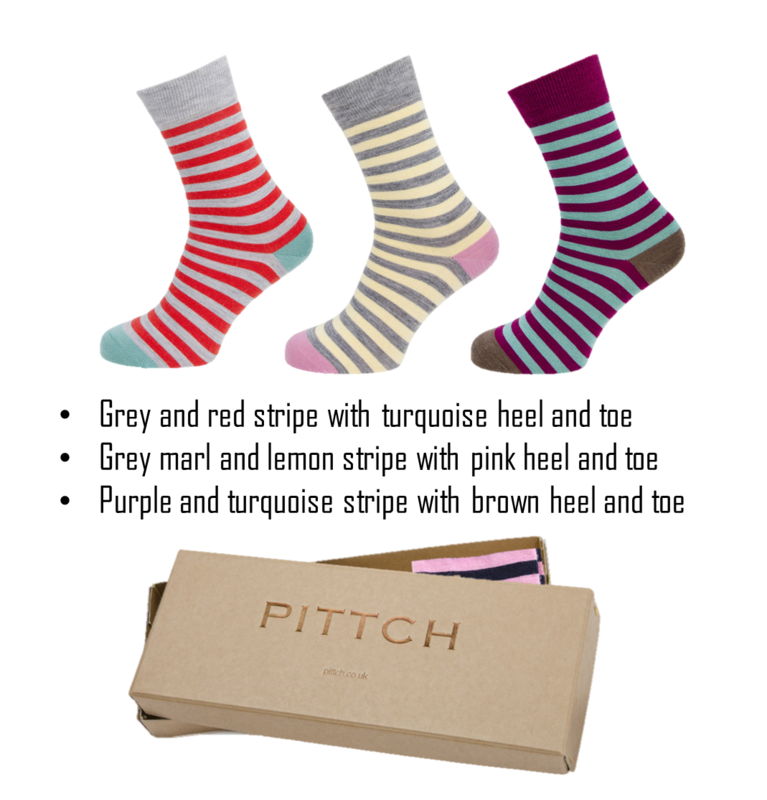 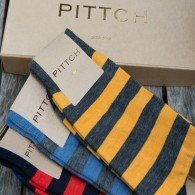 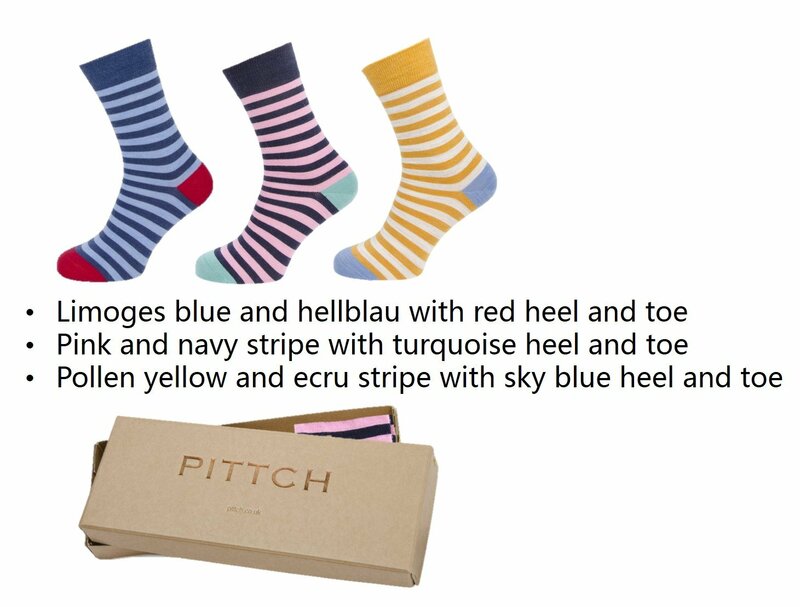 We would like you to cherish your socks and have crafted stunning card boxes to make receiving a gift of PITTCH socks that extra bit special. Our gift packages are beautifully embossed with the metallic bronze PITTCH logo and is all natural card and fully recyclable; so make your PITTCH sock gift that extra bit special, with a PITTCH presentation gift box, and gift card for your personal message. We have selected three sets of our women’s stripe sock offering contrasting vibrant, fine merino wool socks that will delight.